There are a lot of things on which I hold an opinion! Some I know more about than others. Some I know nowt about but have an opinion anyway! As any woman can tell you its a “man thing! One thing I do know is when someone is making legal claims that the case law does not support. I am a Litigation Solicitor and I carry out advocacy in the courts too. I have 10 years experience of doing it under my belt. I can smell shaky case a mile off. 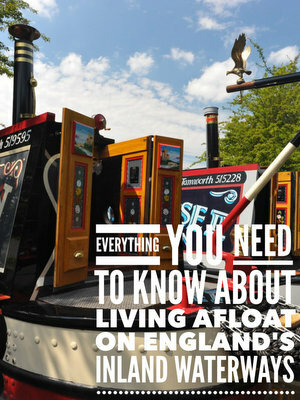 In this weeks “Living on a Narrowboat” newsletter Paul addressed the matter of Continuous Cruising and then mentioned CARTS opinion of what the law says about it which is based on “THE CASE” (BW v Davies 2011)…that they pull out like a six shooter in the old west and then wave at us all like Krushev and a Cuban missile. In fact it is equally useless. It was also clear that Mr Davies had not impressed the court by not paying mooring fees etc and had generally taken the mick with BW! However, as a lawyer I still think it was wrongly decided. Also that the interpretation give to the statute was wrong. His Defence lawyer was correct. The statute is clear that you must move from “Place to place”. Where there is no particular meaning given to a word in a statute (and here there is none) then the ordinary “plain” meaning applies. Watford is a place, Rickmansworth is a place. Geographically their boundaries touch. In terms of the canal they are three locks and 4 “pounds” apart. They are in fact a 5 minute car ride, a 20 min cycle ride or a 40 minute walk. Now Harefield is two miles beyond Rickmansworth possibly 3 locks etc. Yet from Watford to Harefield is a half days journey by boat unless you speed! But all are “places” and you pass through other “places”, cross Parish, borough, and county boundaries in between. So which “place” is a “place” that counts as a “place” for the purposes of the regulations? Depends on which CART bod you speak to. One cc’er was told they had not moved far enough from their last mooring and was directed to go…another 100 yards below a lock in the same political, county and geographical area as where they stopped! So, by all means follow the CART guidance just be aware that it IS only guidance and do not let them push you around! Not that I mean to be argumentative. I am sure there are many good “roving enforcement officers” just as there are honest politicians…you just have to dig DEEP to find them. CART is like any other statutory body it has limits on its powers. Also like other bodies it likes to try and add to them and if not challenged will get away with it. The old BW was often slack in policing the regs. There are a lot of of BW staff in CART with axes to grind and grudges held. Also CART has a big lot of assets to be sold off. Not always to the highest bidder and it has its own vision for the system. One in which cc’ers are seen, at best, as a bit of a nuisance. So take your place in the fight for a place and do not let them place you in an invidious place.